1.1 Sintered Bronze bearings are all self-lubricating and maintenance free. The sintered bronze bushings consist of a porous bronze matrix impregnated with lubricant. The permissible sliding velocity for sintered bronze bushings is very high, which makes the bushings suitable for rotating applications. 1.2 We offers a full range of both plain and flanged cylindrical bushings in accordance with ISO 2795. 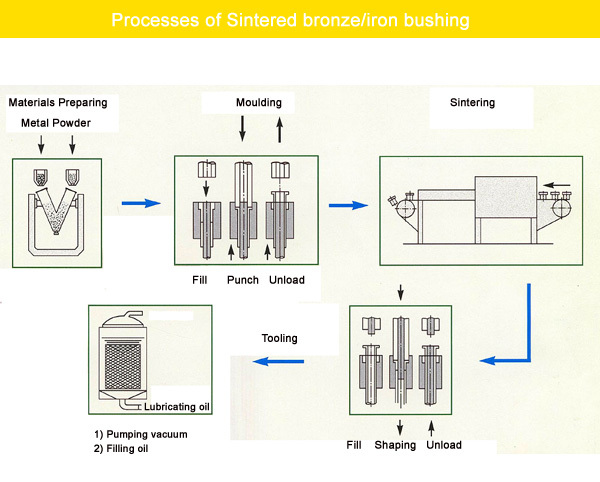 3.1 Sintered Bronze/iron consists of a sintered metallic bronze or iron powder with fully impregnated porosity. 3.2 The material compositions are in bronze or iron or bronze-iron with a porosity volume of 12%-18 % impregnated with mineral oil. 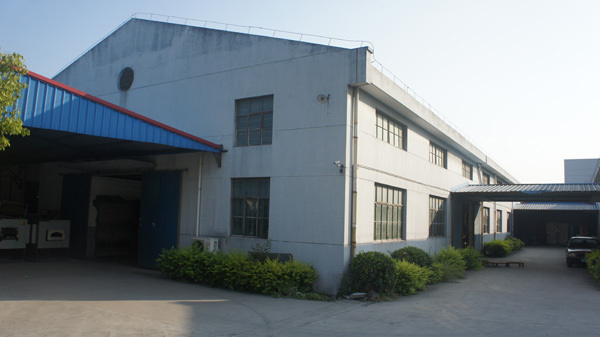 3.3 Machining or grinding of the bearing surface of a porous sintered bushing is not recommended due to the risk of closing the bearing pores. 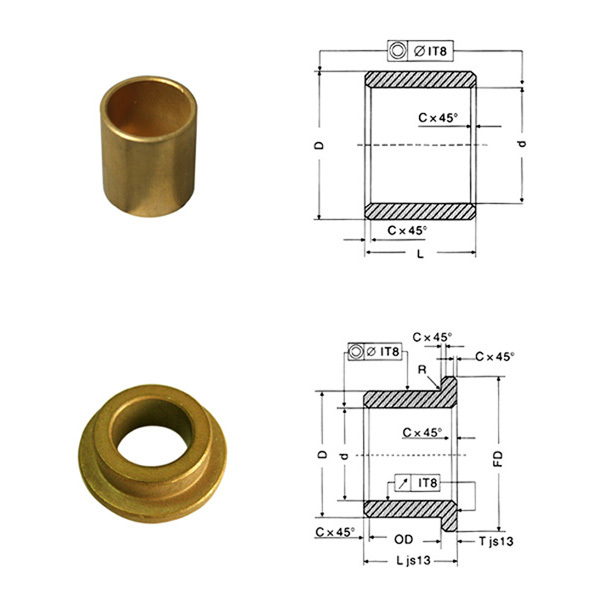 4.1Sintered Bronze bushings are most suitable for applications with rotating movements and where the self-lubricating performance requirements are high. 5.1 While storing and mounting make sure that the bushing never comes into contact with any absorbent material, as this may drain the oil very quickly. 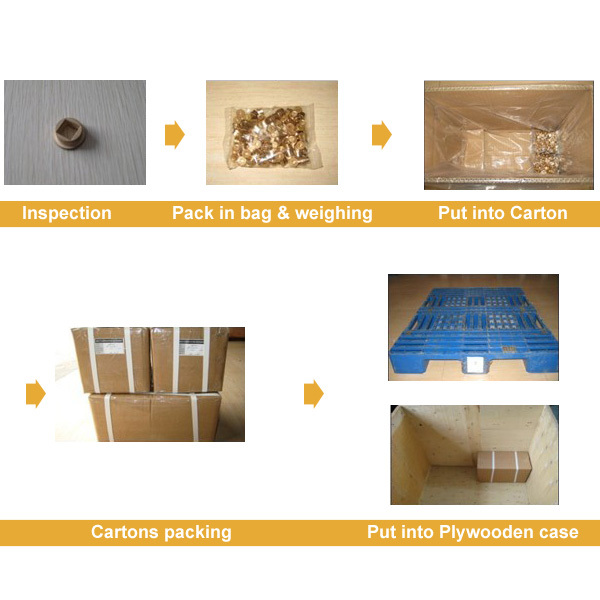 5.2 It is therefore recommended to keep the bushing in the original packaging for as long as possible. 5.3 Additional lubrication is usually not necessary.